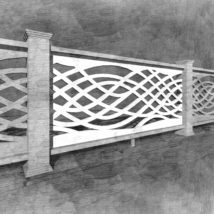 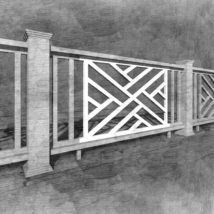 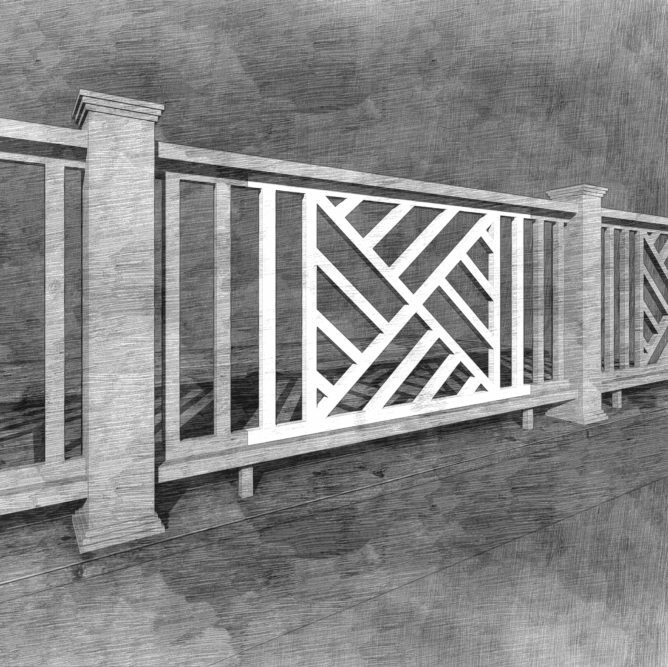 Classic Chippendale design railing panel slightly redesigned. 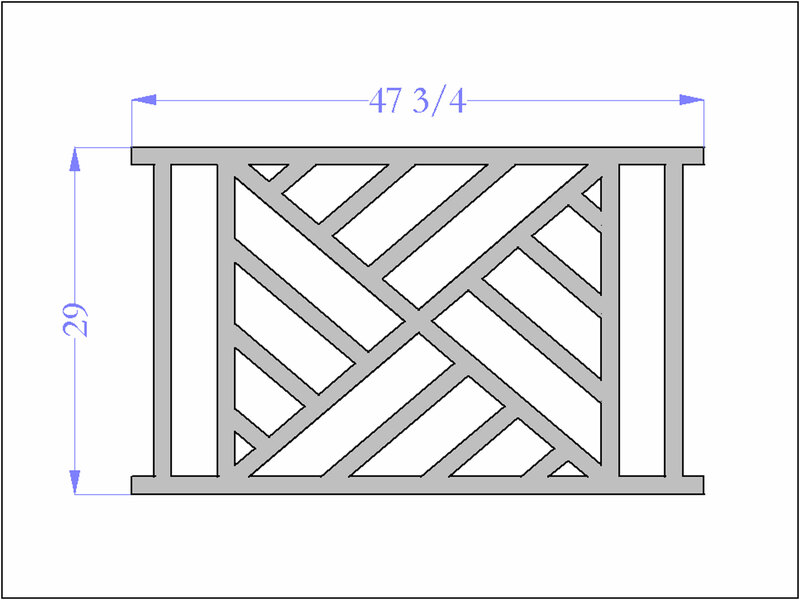 This panel looks good combined with the picket panel. 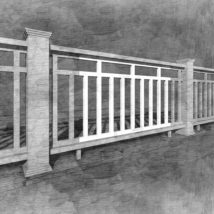 The Porch Store custom panels have the body and substance of wood without the character flaws or necessary maintenance. 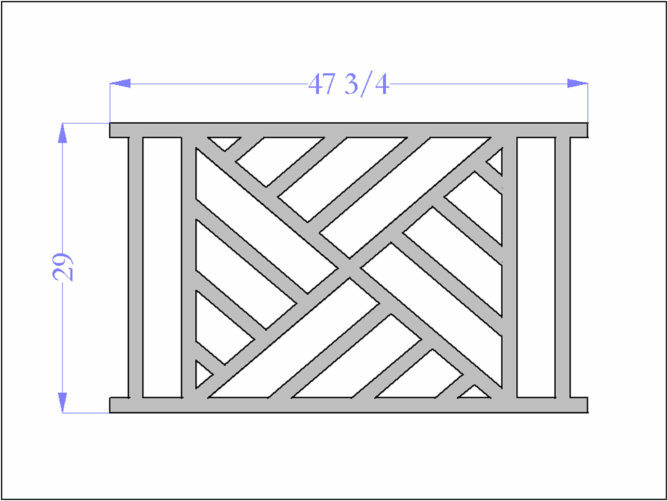 They are made from 1″ thick solid cellular PVC. 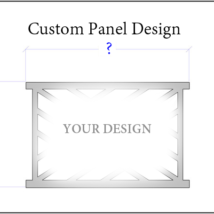 Our panels can be installed as shipped (white) or painted with exterior house paint.